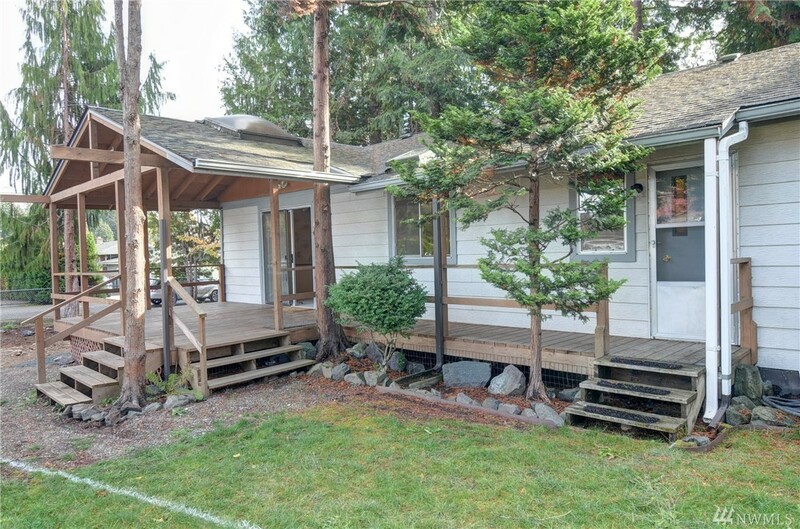 Big Trees, Fully fenced lot w/1754 sq.ft. , 1 story 3 beds & 2 full baths. Big detached Garage/Shop & Attached carport. Covered Parking for 5. Full concrete driveway w/room for RV & Boat! Gated. 5K allowance for landscaping. 550-600K custom home being built next door. Covered decks. Member of Private Park w/boat launch & Docks.